My facials are tailor made for your skin type and skin condition. I use Sanitas Progressive Skinhealth in 90% of my facials. I have used and sold Sanitas for the better part of 16 years. Sanitas was the reason I became an esthetician. First, I wanted to be able to answer questions to my online clients and second, I wanted to find more professional products that were as effective as Sanitas to offer on AccentTouch.com and TheHealthySkinStore.com. In 9 years I have never found another skin care line that is as complete in addressing all skin types and all skin conditions. Yes, I have found a few niche items in a couple of skin care lines that I love, GloTherapeutics and HydroPeptides. I’ll let you know when I break rank and why. All my services come with advice on not only skin care, but nutrition. I try to give sound strategies on how to keep your skin healthy and happy. Here are some factors on which I base your facial, after a chat, we’ll decide together. 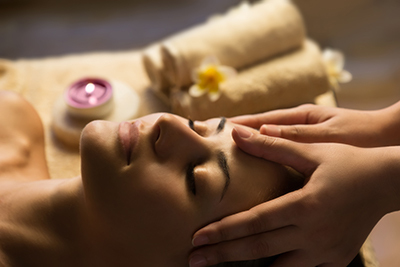 When booking, choose the Facial Extraordinaire. Normal skin calls for glycolic acid cleanser, scrub and or a fairly active enzyme mask, papaya or cranberry; finish up with a combination of retinol, peptides and lipophilic vitamins and always sunblock. Dry skin, Lactic is more appropriate. The difference between glycolic and lactic, glycolic is sugar molecules where as lactic is milk. the latter is a larger molecule that will not be as aggressive. In addition, lactic acid is a natural humectant, so if you are suffering from dry skin it will help your skin retain moisture. Exfoliation for dry skin needs to be a bit more delicate. I like pumpkin because in addition to dissolving dry skin cells it is very effective for hydrating, soothing and softening; finish with a combination of retinol, peptides and lipophilic vitamins and always sunblock. Oily skin should be treated with Salicylic acid cleanser, depending on the oil production. I also like to use lactic acid. It lets the skin know it’s not being dried out. A scrub can be used, and like normal skin a fairly active enzyme mask, papaya or cranberry and yes, finish with a combination of retinol, peptides and lipophilic vitamins and always sunblock. Combination skin can be treated with elements of all these treatments. Generally the reason your skin is combination is because you need a facial. I’m here to help you figure that out. Sensitive skin needs to be treated with kindness, but still needs the same exfoliation as a dry skin. The best way to strengthen sensitive skin is with a proper facial. Lactic, Honey, Pumpkin, and always finish with lipophilic vitamins and always sunblock. Gentlemen’s Facial – Men have thicker, tougher skin. Most men haven’t paid much attention so the facial needs to be a bit more aggressive. This facial is a combination of acid cleanser, scrubs, peptides and nourishment; the right kind of mean and the right kind of nice. You guys will love the way you look. Book your Gentlemen’s Facial Now! When signing up for my peels, I need you to prepare. Whether it is a light superficial peel or one of my most aggressive you still need to plan on ten days to two week out of the sun. Now, I’m not trying to say don’t go outside or walk the dog, I don’t want you to go hiking, camping, rafting, skiing for 10 – 14 days. The second caveat is, you must commit to wearing sunblock, forever. Alpha Peels – Glycolic 20%, 30% – This is your anti-aging peel. If you need a boost in your skin routine and have no serious skin issues, this peel is for you. 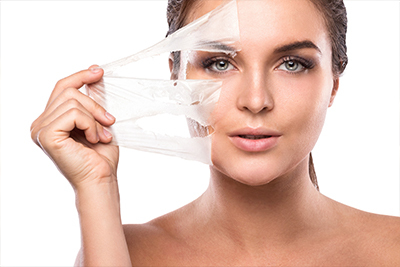 Beta Peel – Salicylic Acid – This peel is for the oily acneic, inflamed skin. TCA (trichloroacetic acid) – A mild to aggressive peel depending on how I administer it. 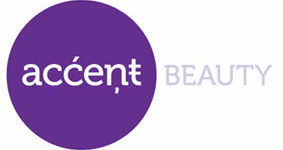 This peel is for anti-aging up to hyperpigmented skin, ( minus oily or acneic). Here’s the thing, you don’t get to decide, I do. Book you peel service now! I use a diamond tip. With the Basic Micro choice you receive a nourishing mask. 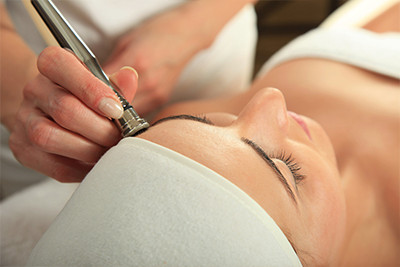 With the Ultimate Micro you receive a full facial, extractions and all.